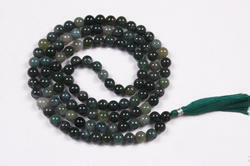 We take a huge pleasure in the market profering best array of Agate Black Japa Mala Beads at affordable rates. They are available in many colors and designs options. "Japa is a type of communication between "here" and "beyond", between the part and the Whole. As in all types of communication, it cannot be the mumbling of empty words, it cannot be a mechanical or robotic repetition, but it must express an authentic and sincere intention. The mantra should be recited with highest attention and deeply interiorized." Aishwarya, which essentially means boon and this, is exactly what this mala brings to the wearer. The boons of life along with protection from negative aspects of life. 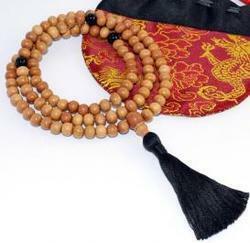 We are remarkable enterprise, involved in offering superior quality Hindu Prayer Beads Mala.